Pete London travels through some of the most beautiful of landscapes on board some of the branch line locomotives of Cornwall. Dr Richard Beeching had a lot to answer for; his infamous ‘axe’, wielded for the Government during the mid-1960s, led to cutbacks of local railway lines throughout Britain which widely affected rural areas. In Cornwall, closures included parts of the North Cornwall Railway and the West Cornwall Railway. Today though, across the Duchy five scenic branch lines have survived, meandering through beautiful countryside away from the bustle of main-line services; they offer great car-free days out, often to places you might otherwise overlook. The fourteen-mile Tamar Valley line connects Plymouth and Gunnislake. 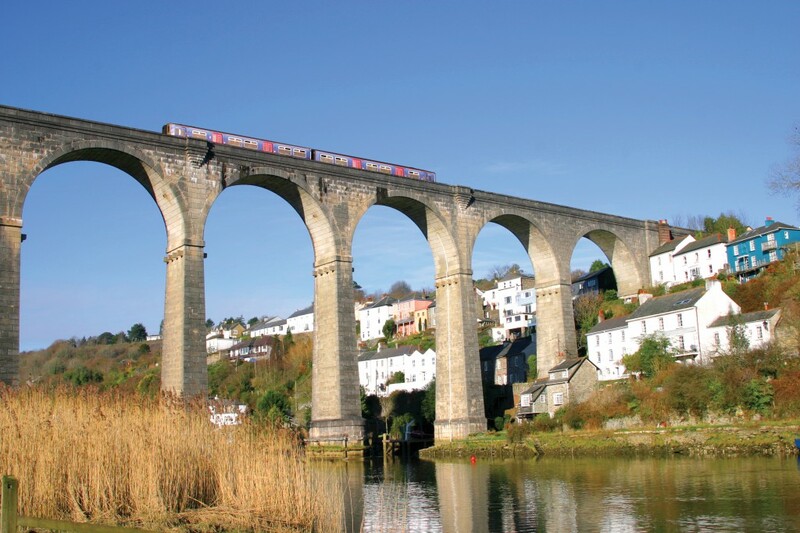 Along the eastern river bank, the route passes Devonport naval dockyard and Brunel’s Royal Albert Bridge, before entering Cornwall over the towering, dramatic Calstock viaduct. The valley was once part of the richest copper mining area in Europe; along the way, amidst the countryside views industrial ruins can still be made out, overgrown and softened by lush green woodland. Some of the most attractive walks accessible from the railway are around Gunnislake, and the village has shops, pubs and cafes for refreshments. In south-east Cornwall, the nine-mile Looe Valley branch line begins at Liskeard, and for much of its route follows the valley of the East Looe River. We’re lucky it’s still with us; in 1966, just two weeks before it was due to close as part of Beeching’s cuts, the line was reprieved by the Minster of Transport Barbara Castle. 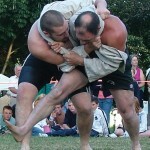 Liskeard’s station is near the town centre; visit on a Thursday to take in the weekly livestock market. 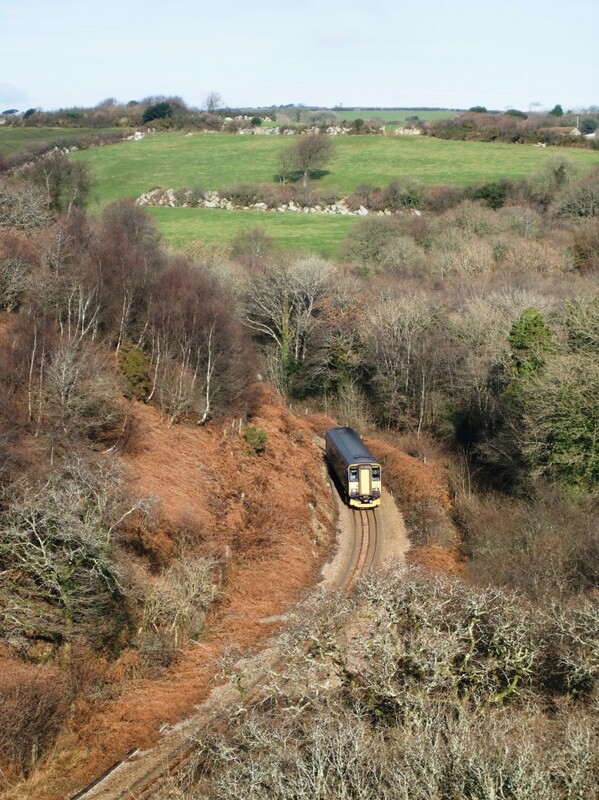 The route to Looe passes below the Cornish east-west mainline and the A.38 road, before heading south under the Liskeard viaduct. Looe Valley’s station names belong to a bygone era: Coombe Junction Halt, Sandplace, St Keyne Wishing Well Halt. After a short stretch following the old Liskeard and Looe Union Canal, at St Keyne break your journey to visit the ancient holy well. Drop into the Magnificent Music Machines Museum, a unique collection of phonographs and player pianos; there’s even a mighty Wurlitzer organ which the owner, Paul Corin, will demonstrate for you. At Causeland one of the old canal locks can still be seen while the nearby village of Duloe has a thirteenth-century church, and a stone circle of white quartz probably dating from the Bronze Age. 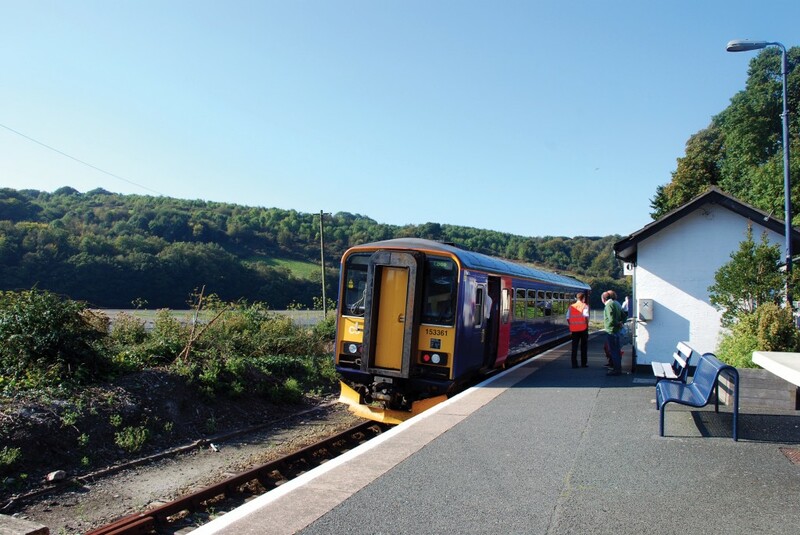 As your single-carriage train unhurriedly pulls into Looe you can enjoy the beautiful view across the harbour, then stroll through the old-world streets. If you have kids with you, wander down to the beach by Banjo Pier and try a spot of crabbing. The twenty-mile Atlantic Coast Line links Par on the south coast with the broad sands of Newquay. It’s a journey which for the most part traces the route of the old Cornwall Minerals Railway and the even earlier Par Canal, among often-changing scenery. Passing through the thick woods of Luxulyan Valley and under Joseph Treffry’s imposing Victorian viaduct, the single line emerges on to Goss Moor nature reserve; to the west is the pale, eerie landscape of St Austell’s china-clay industry. The fifty-minute ride ends at Newquay’s holiday resort and wild Atlantic breakers but if peace and quiet are more your thing, a short walk takes you to the tranquillity of Trenance Gardens. Connecting Truro with Falmouth is the Maritime Line, a ride of around twelve miles. The journey takes twenty-five minutes and after Penwithers junction near Truro the line’s single-track to Falmouth, except for a passing point recently installed at Penryn. Tunnels feature twice, the first just outside Truro before Sparnick Tunnel is reached, more impressive at over a quarter of a mile in length. As the route moves south it crosses Carnon Viaduct high above Restronguet Creek, long since silted up. Below, perpendicular to the line runs the Mineral Tramway heritage trail connecting Devoran with Portreath, enjoyed by walkers and cyclists. The St Ive Bay line (Image Rail). Perranwell station is charming, its buildings and restored artefacts evoking earlier times – though the platform’s tiny shelter is a modern reproduction of an older style. Over viaducts at Perranwell, Ponsanooth and Penryn, on a clear day the Maritime Line provides a striking view of the river toward Falmouth. Penryn’s Collegewood Viaduct was the last timber-spanned railway viaduct built in Cornwall, replaced by the current stone and masonry construction during 1934, though the original piers still stand. Falmouth hosts three stations in quick succession; Penmere serves the western residential area, Falmouth Town sits nearby the National Maritime Museum, while at the end of the line Falmouth Docks is handy for a visit to Pendennis Castle or the sea front, with great outlooks across the harbour. 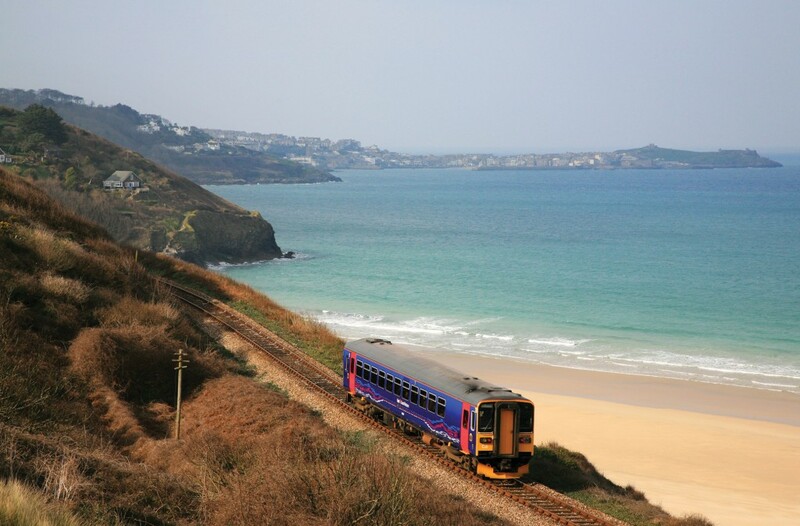 Westernmost of Cornwall’s scenic railways, the St Ives Bay Line links Rose-an-Grouse, just off the A30 near St Erth, with the seaside and port of St Ives. Like Looe Valley’s line, the route came under scrutiny during the 1960s but was reprieved; it’s only around four miles long and the journey takes just twelve minutes but again, the views are enchanting. St Erth is an old-fashioned railway station with character, and boasts a buffet chosen as a favourite track-side tearoom in a top-ten list published by the Guardian. Single-track along its entire length and so operated by only one train, initially the St Ives Bay Line follows the Hayle River’s western bank, passing through two miniature stations before turning west. The coast is famous for its glorious sandy beaches at Carbis Bay and Porthminster; the railway traces the cliff edge, close by Cornwall’s Coastal Path. Arriving at St Ives by rail certainly provides a more restful experience than driving, especially during the summer, while the views across to Godrevy lighthouse and west to the town simply aren’t to be had from the road. At the height of the holiday season a two-carriage train trundles back and forth, but through the winter months a single car is sufficient. The Hayle estuary is an RSPB nature reserve. Throughout the year the area offers a great opportunity to watch birdlife, mostly waders and seabirds though occasionally there are sightings of peregrine falcons and ospreys. Oystercatchers, curlews, egrets and cormorants thrive, together with wildfowl such as teal and widgeon; during spring and autumn there’s also the chance to see migrant birds. Along East Looe’s valley too birdlife flourishes, especially between Sandplace and Looe where the river begins to widen toward its mouth. Autumn, winter and the early spring are the best times for the birds, mostly waders: curlew, dunlin, redshanks. Both the Hayle and East Looe are also home to the stately grey heron, and the big cheerful-looking shelduck. Part of the journey’s appeal is exploring the countryside surrounding the stations. Walking trails have been developed by the Devon & Cornwall Rail Partnership, under the Trails from the Track initiative. The Partnership was formed in 1991, to improve local railway services and promote travel on rural branch lines. Circular or linear, the trails begin and end at stations and vary from easy ambles to more challenging hikes. Typical is the five-mile circular walk from the Tamar Valley’s Gunnislake station. You’ll pass along the river bank and find the tiny sixteenth-century stone crossing at Newbridge, before cutting inland. 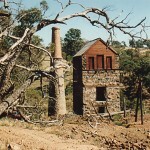 At Clitters Wood eerie overgrown mining remains can still be seen, reminders of the area’s industrial past when copper, tin and arsenic were extracted. A return is made via Chilsworthy Halt, part of the old railway axed in the sixties, and through the quiet hamlet of Delaware. On the Maritime Line, Perranwell village provides an accessible stroll: peaceful lanes, bridleways, maybe a stretch of the nearby mineral tramway trail. Near the St Ives line is a memorable walk past the birds of the Hayle estuary, west though the grassy dunes, and across the cliff top to Carbis Bay. From the bay’s broad sands it’s just over a mile to Porthminster beach, with St Ives nearby. Typical of the Looe Valley walks is the four-miler between Causeland and Sandplace, which takes in the standing stone circle and the local church. Trails from the Track information packs can be downloaded. The Looe Valley Line (Image Rail). And after all that healthy exercise, what better than to reward yourself with a pint or two of refreshing real ale? Each of Cornwall’s branch lines has a nearby Rail Ale Trail, so you can combine your journey with sampling the local brews. 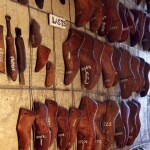 You’ll find traditional, out-of-the-way pubs you wouldn’t otherwise have discovered, and for souvenir hunters there are various collectibles on offer as you build up your visits. Most of the pubs serve food, and as well as their usual beers many feature guest ales; the Rail Ale Trail’s website has full details of what’s on offer. 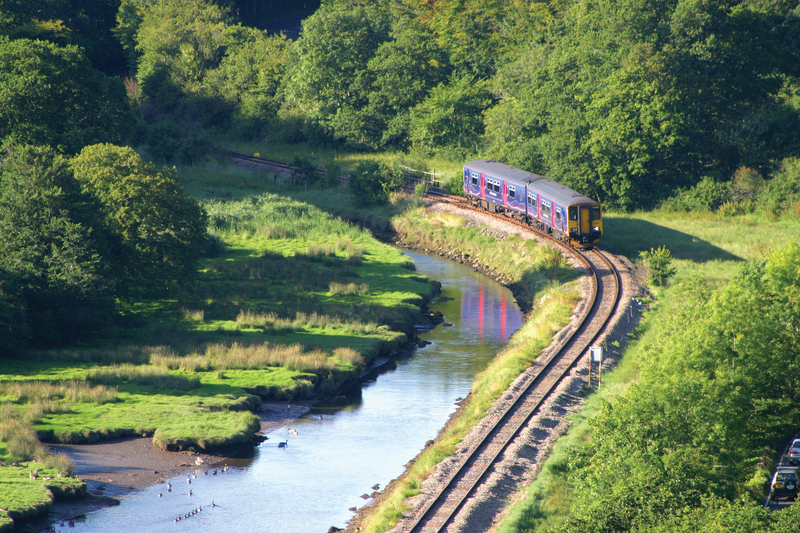 All Cornwall’s scenic routes are operated by the First Great Western Company, supported by the Devon and Cornwall Rail Partnership. Through means such as line guides and support to leisure opportunities, passenger numbers are growing; great news in ensuring the links stay open. If you’d prefer someone else to do the driving while you explore some of the most beautiful countryside the Duchy has to offer, make a date with Cornwall’s branch lines. The writer would like to Rebecca Catterall, Development Officer with the Devon and Cornwall Rail Partnership, for her generous help, together with the following suppliers of images: Ray Bentley, Lyn Winter, and Image Rail. 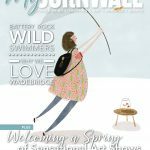 Subscribe to myCornwall magazine here for the very best of Cornwall’s food, culture, events, art, heritage, personalities and places. We'd love to hear from you, please use the channels below to contact us with your needs and questions.